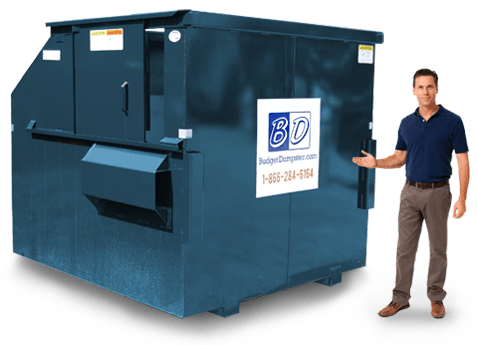 Finding the right commercial dumpster company for your business can be a challenge, especially when you are just getting started. 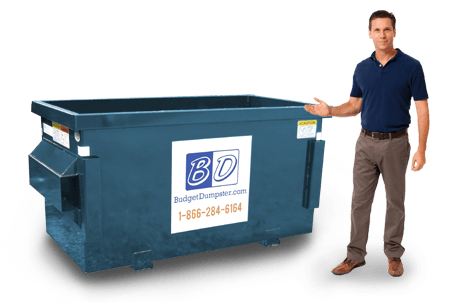 If you are finally opening that dream restaurant of yours or getting started with a brand-new startup, the last thing you want to concern yourself with is finding the best deal for your permanent dumpster. That's why Budget Dumpster makes it very easy to get your commercial dumpster service set up and ready to roll. Instead of throwing a bunch of different size and scheduling options at you, we let you explain the unique needs of your business so we can work out the best waste removal solution for you. That way you get the right dumpster for your waste stream that's also the right price for your balance sheet. 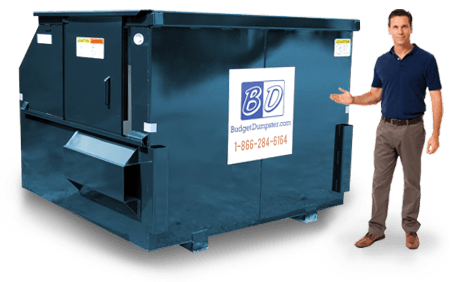 The best trash collection services are those you don't even have to think about, and that's exactly how Budget Dumpster operates. Once the contract is signed and the dumpster delivered, we'll be in and out every week with your trash. No fuss, no muss. Of course, if you ever need to change up your schedule, replace your dumpster, or anything else, you can always call us up and we'll be able to help you out! 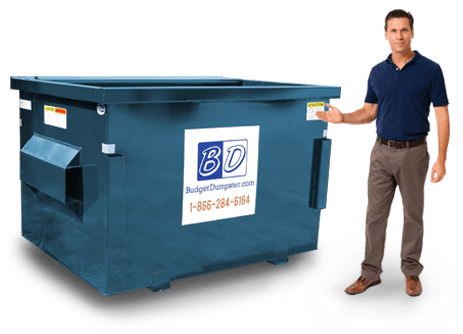 If you are a small business owner, you will want to check out the 2 yard commercial dumpster. It's perfect for small restaurants and boutiques that have less than 2,500 square feet. The 2 yarder has a small footprint that leaves plenty of room for placement in any parking lot or back of a building. It's a no-hassle placement every time. This commercial dumpster can hold between 600-800 lbs. of waste which is the equivalent capacity of a one ton pickup truck. It's only 3 feet high which means throwing away materials won't be a hassle. If you own a small business, it's the most economical choice. The 4 yard commercial dumpster can be considered the medium size option. It's not too big and not too small. It can be used for a variety of businesses that have small-to-medium waste streams. Common users include retailers and restaurants. It is also great for places of worship. This medium size commercial dumpster can hold between 800-1000 lbs. of waste which is equivalent to two pickup trucks worth of trash. It can even handle the occasional bulky materials your grocery store or restaurant will produce. Since it's only 6 feet wide and 4 feet long there's a variety of placement options. This is a great in-between size that can be easily placed and emptied. The 6 yard commercial dumpster is known to be the all-round dumpster. You can find it in almost every apartment complex and retailer. It is great for businesses that produce a high volume of trash every week. It can hold between 1200 to 1400 lbs. of waste. This unit is typically 6 feet wide, 5 feet long and 6 feet tall. Every dumpster has an easily accessible sliding door. No more lifting heavy trash bags over your head. We make disposing of trash easy for you. With this container, it does require extra space. Remember to place it on-site where it's accessible to garbage trucks. The 8 yard commercial dumpster is the big daddy of permanent dumpsters; this ginormous container can hold 1400 to 1600 lbs. of trash. It is commonly used for large office buildings and shopping centers. This dumpster can handle large volumes of trash on a weekly basis. We also make hauling those heavy bags easy for you. The unit has an easily accessible sliding door so you know have to lift a heavy trash bag over your head. Since this is our largest unit, remember to consider where you place it on-site.